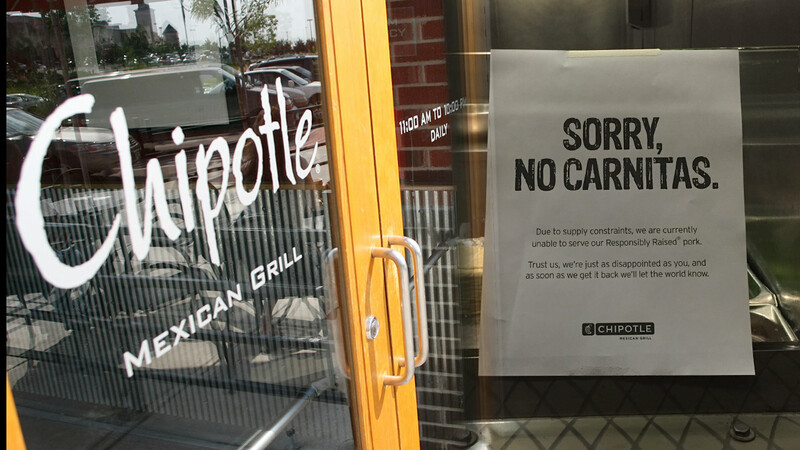 HOUSTON -- Some bad news for anyone who's craving carnitas from Chipotle. Chipotle says it stopped serving pork at about a third of its restaurants after suspending a supplier that violated its standards. Signs in the restaurants state, "SORRY, NO CARNITAS."